The new Barts anatomy centre, including a laboratory and accommodation for academic, technical and administrative staff. Steward Health Care, the US company that took over the 30-year government concession to manage three hospitals, has secured changes to the conditions of the contract originally agreed with Vitals Global Healthcare. This runs contrary to the government’s pledge last year that the projects started by Vitals would be delivered according to the original contracts. It is not yet known how far conditions have been amended, as both Health Minister Chris Fearne and Steward remained tight-lipped despite questions from this newspaper. 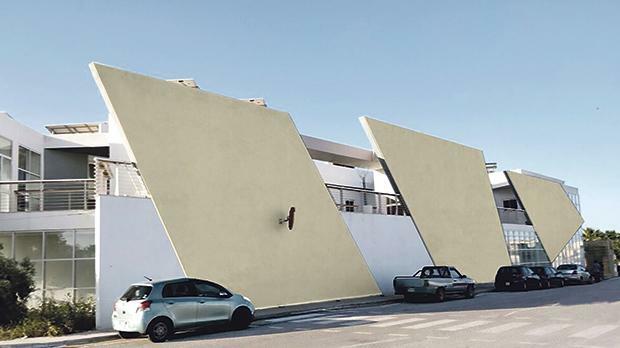 However, The Sunday Times of Malta is informed that among the changes are the pushing back by several years of the milestones by which new facilities at St Luke’s and Karen Grech in Malta and the Gozo General Hospital are to be completed. 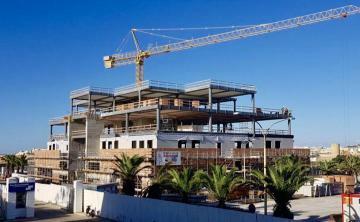 The Times of Malta last week revealed that the building of a state-of-the-art general hospital in Gozo, which according to the contract had to be completed by last September, has been put on hold. So far no construction work has been done and there is not even a planning permit in hand. A draft masterplan for the new hospital was submitted to the Planning Authority by VGH in 2016 but according to the Planning Authority’s portal, no developments have been registered on the dossier since January 19, 2017, despite Steward having taken over last December. Planning Authority sources have told this newspaper that “no progress at all” is being registered on the plans for a new Gozo hospital. But Steward has insisted it is still committed to the concession plans. However, it said it was currently “prioritising on the Barts Medical School,” which, according to the agreement with the government, had to be up and running by July 2017. In the same statement of denial, Steward revealed that changes to the concession had been agreed with the government. Asked to reveal the new timelines for the investment which the concessionaire had been bound to complete, a spokeswoman for Steward did not reply but only confirmed that the concession milestones had been changed. “When Steward assumed responsibility for the concession in March it was clear that timelines for capital projects needed to be reset. “Over the past months, the government and Steward have had numerous meetings in order to establish ambitious yet realistic outlines for the hospital renovations and new construction, which both parties will be announcing jointly,” she said. The Health Ministry has so far refrained from making any public announcements on the changes agreed. “Steward took over the concession in March 2018. Over the past months, the government and Steward have had numerous meetings in order to ensure timely progression of the whole Steward Malta project,” the ministry said. Priority is being given to the building of the Barts Medical School. “It was agreed that Steward Healthcare prioritises the construction of the Barts Anatomy and Medical Schools. The Anatomy School, with a capital expenditure of €2.2 million, is complete, while the Medical School – with a total investment of €22 million – is very well advanced,” it said. The latest news contradicts the original statement made by the government when announcing VGH’s sale to Steward of the concession for the three public hospitals. The government did not reply to questions on what had changed within less than a year from its official statement. In a €2 billion deal signed in 2015 by then Health Minister Konrad Mizzi, on behalf of the government, Vitals Global Healthcare – an unknown company with no track record in medical care – agreed to take over Karen Grech and St Luke’s in Malta and the Gozo General Hospital. VGH were obliged to invest some €300 million in building new facilities at the three hospitals during the first three years of operation, while the government bound itself to pay tens of millions a year to hire medical services from the private concessionaire. In all, the government will be forking out €2 billion. Despite this deal and the clear timeframes involved, VGH did not manage to obtain the required financing for its investments and became insolvent, running into difficulty when paying salaries. In December 2017, following persistent unofficial reports, VGH sold its concession to Steward for an undisclosed sum. None of the concession milestones dictated by the agreement had yet been reached, with the government taking no action to protect its interests. When it published a redacted version of the agreement in Parliament, the government blackened out all the details of the ‘Concession Milestones’. These were later revealed by The Sunday Times of Malta. The Health Ministry in a statement on Sunday said Steward Healthcare was 'highly committed' and said projects will be delivered to the highest standards 'in excellent time'. It did not go into specifics. "Steward Health Care continues to make strong progress, with works on the anatomy centre now complete and the development of the medical school in Gozo continuing at a rapid pace. This will eventually lead to the projects at St Luke’s Hospital and Karin Grech as well as the new Gozo Hospital," it said. "As the Barts Medical School reaches completion, the concessionaire will now be shifting its attention to the construction of a state-of-the-art hospital that all Gozitans will be proud of as well as to the renovation and refurbishing of Karin Grech and St Luke’s hospitals. "Steward Health Care has proven itself to be a highly committed partner, with a capable leadership which has taken on all of the obligations of the concession agreement and is delivering them to the highest standards in excellent time."